The giant dosai at Shri Balaji Bhavan are a meal unto themselves. This whole meal cost $11. 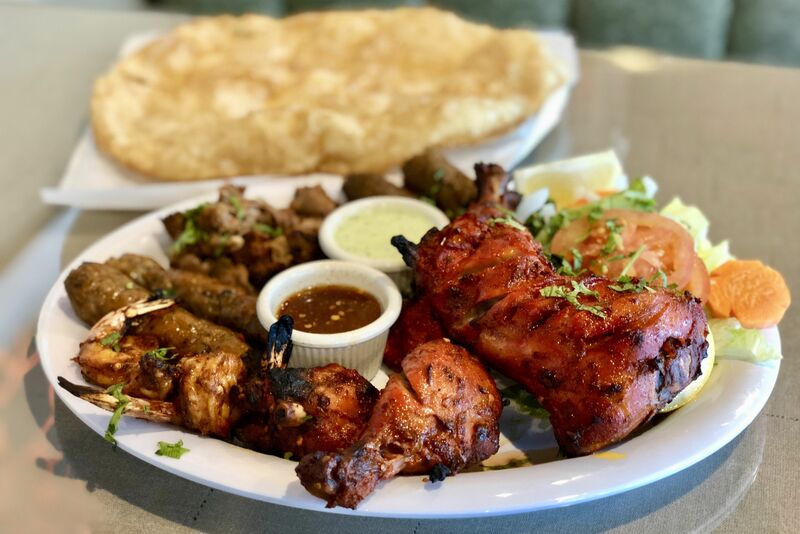 I always make the mistake of ordering far too much food when I go to Shri Balaji Bhavan, one of my favorite vegetarian restaurants in Little India (and one of the restaurants we spotlighted in the Mahatma Gandhi District this month). 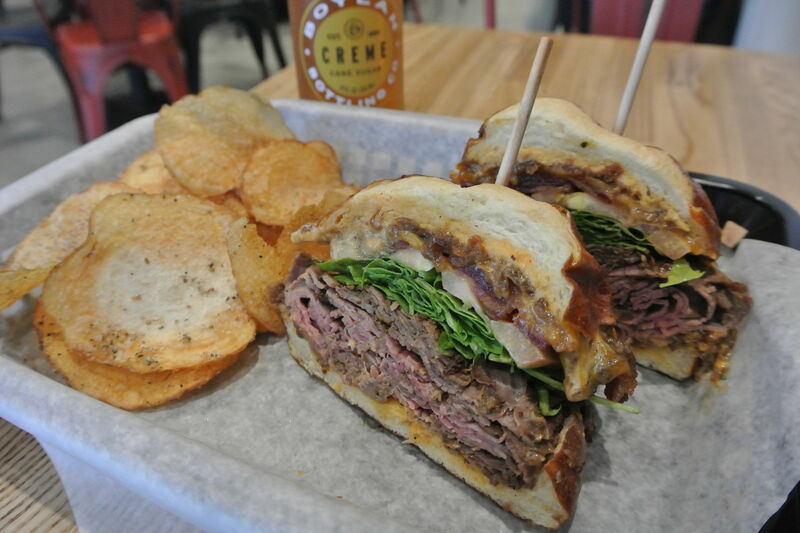 But when everything on the menu is this good and this cheap, it's hard not to. This is actually my chief issue when dining in Little India, and not restricted to Shri Balaji. I have the same problems at Bismillah Cafe and Hot Breads across the street, and when staring down the sweets case at Raja Sweets next door. But at Shri Balaji, I simply can't pass up the dahi puri—the tiny, puffy wheat shells filled with vegetables and spicy chutney, topped with yogurt and more chopped veggies—and neither can anyone else, it seems. 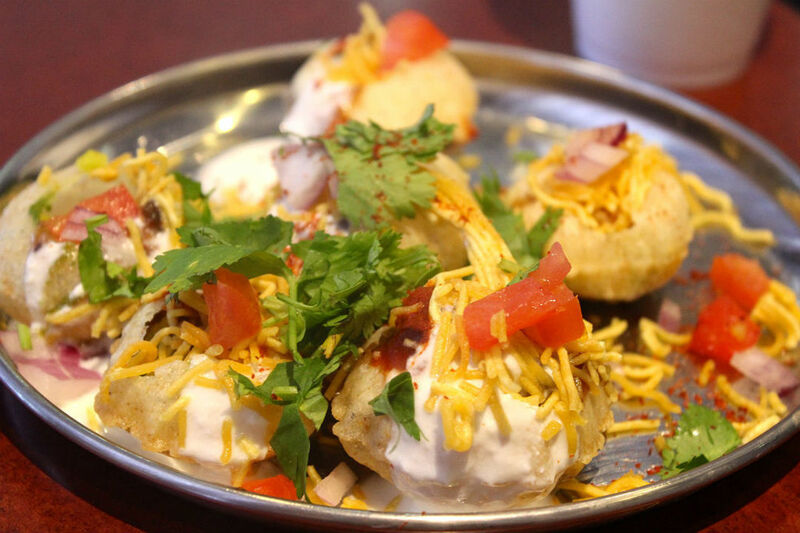 Almost every table orders a silver plate of the chaat, or snack, to kick off their meal. Dahi puri: finger food at its finest. The real star of the show, however, are the giant dosai that Shri Balaji Bhavan sends out on massive silver platters. The best way to describe a dosa, for the uninitiated, is as a taco on steroids. The texture of the thin, crepe-like dosa is somewhere between a soft and hard taco shell—except made from a batter of rice and lentils, not corn or flour—and it's stuffed with your choice of fillings. I usually opt for butter masala, which is not joking around about that "butter" part. You can taste the delicious ghee, or clarified butter, that soaks into the crusty dosa from the masala stuffing. 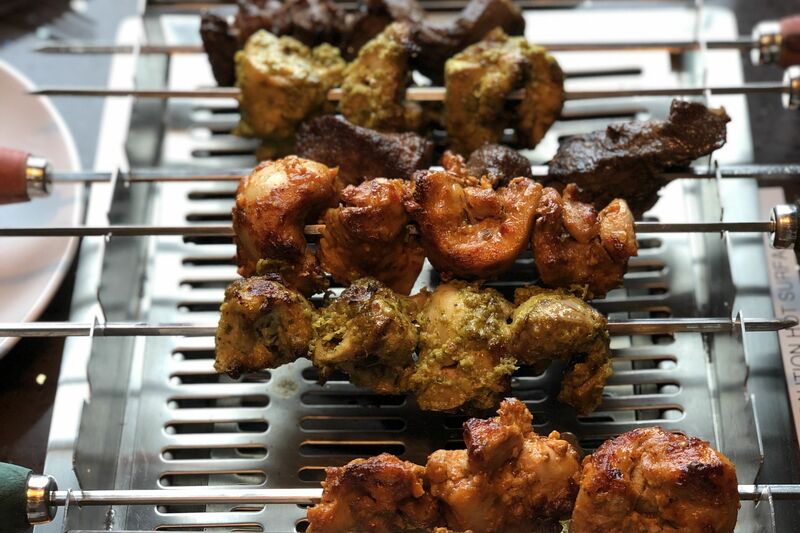 Other than ghee, masala is mostly made of potatoes, onions, chana dal (chickpeas), and spices such as turmeric (which gives the masala its signature cheerful yellow color). Served alongside your giant Indian taco are two spicy chutneys for dipping: a red and a creamy green (hey, if you Tex-Mex converts are convinced to try Indian cuisine yet, I only have one other word for you: cumin—and lots of it). 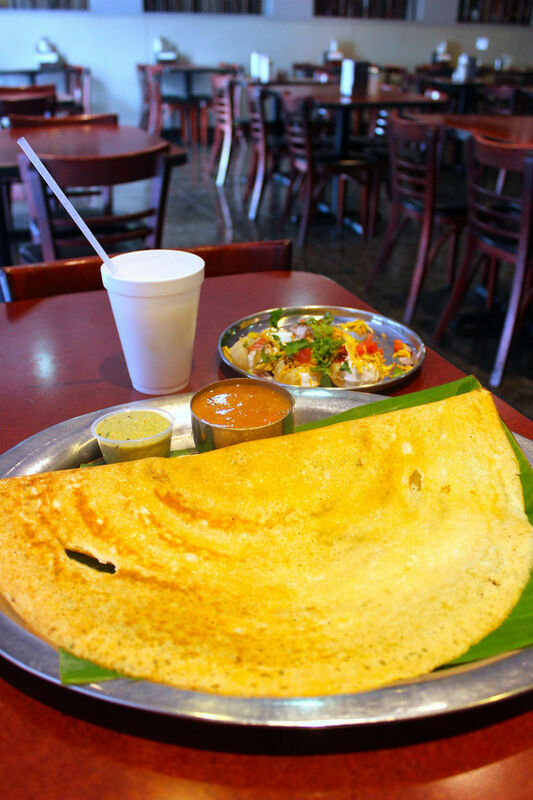 Just think of a dosa as an oversized taco. 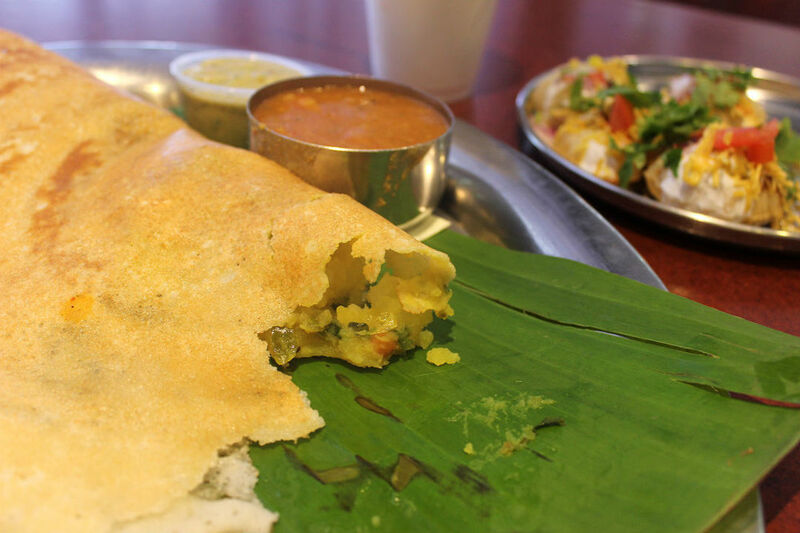 The butter masala dosa is only $4.99 and could easily feed two, especially if you order it with a plate of dahi puri (which only adds another $2.99 to your order). And for all those who complain about how difficult and expensive it is to go gluten-free or vegetarian, Shri Balaji Bhavan has a dosa with your name on it.